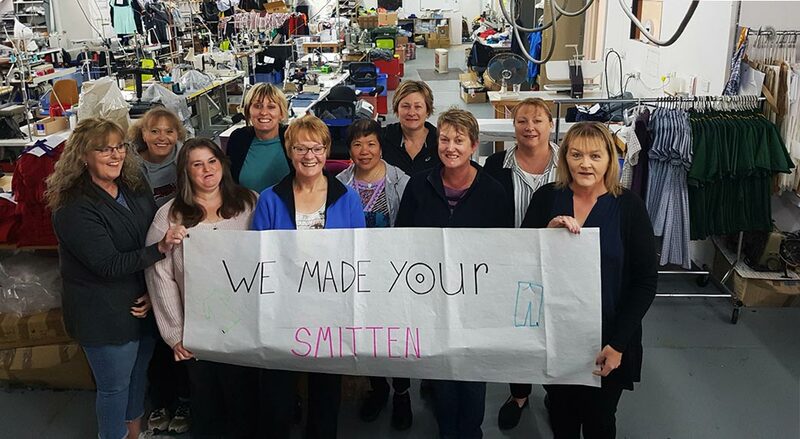 Smitten, as a small brand, wants to support skilled Australian women to keep sewing our clothing. We believe in sustainability and ethics- and are excited to be apart of the Fashion Revolution because we want radical change. We want people to think about where their clothes are sourced and produced. Smitten Merino is a family business born in Hobart in 2007. Husband and wife team Nicola and Carl had a dream to design lightweight merino clothing that was stylish, comfortable and practical, and get it manufactured right here in Tasmania. We had recently moved from WA and loved the climate, the people, the whole island, and especially the sheep! And we wanted to know where all the wonderful wool was going, because we were cold and wanted to wear some... So - we decided to make it ourselves. We wanted to support Tasmania and be local. We wanted to create a unique brand, and offer visitors and locals a Tassie souvenir that they could wear for years to come. We hope you love smitten as much as we do - our relationship with you is one we treasure. Thank you for keeping our wool dream alive. Smitten designs are inspired by a passion for Tasmania - its incredible landscapes, produce, people and natural playgrounds. Underpinning our brand is a strong desire to be sustainable and ethical. One of our practices is making use of all the fabric when we are cutting the smitten garments, so our delightful cutters (thanks Cathy and Carmen) are vigilant in making sure any spare merino is used up as beanies, headbands or mittens. Hello aiming for zero waste! Built here using premium merino wool fleece, Smitten gear is lab-tested in some of the wildest places on Earth. We love getting outside as much as you do. That’s why we started Smitten here in spectacular Tasmania. Spun from super-fine merino wool, Smitten clothing is soft, light and form-fitting – a little piece of luxury that will stand up to all conditions. Super-fine merino wool, the world's best natural fibre, it wicks, breathes, dries fast, and fits your body for serious technical performance. It is also flame retardant as well as having a high UV sun protection factor. And machine washable - the perfect travel partner. Spun from super-fine merino, our wool is sourced from Tasmanian and Australian premier wool growing regions. 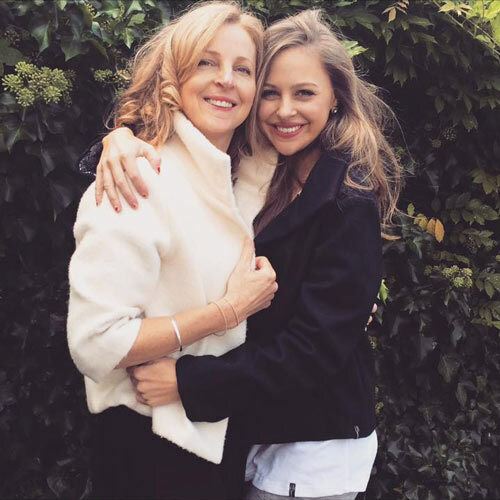 It’s our passion to provide you with garments that are natural fibre, sustainable, and environmentally aware. All Smitten merino wool is sustainably grown and non-mulesed. Our manufacturing procedure undergoes a stringent process before it touches your body; cleaning and spinning, colouring, design, machining, construction and quality control. The end result, a product that looks and feels better, lab tested in our own Tasmanian backyard. Smitten wool is a distinctive fabric that is super-soft and generates warmth for those cooler occasions, plus is lightweight and favourable for those warmer months with its breathability allowing you to layer without uncomfortable bulk. It is soft on your skin but also tough enough to be washed in the washing machine – throw it in and go. Let yourself experience a little piece of luxury that will stand up to all conditions.